The reported decline in e-reader sales is being misread as an indication that consumption of the ebook itself is in decline. This false conjecture has given authors and publishers hope that the printed book will return to the economic dominance it enjoyed before the technological innovation of the e-reader device. No way. The ebook revolution continues apace and the print book business will continue to decline, despite the optimistic media huckstering. Media pundits and professional trend forecasters often do not look beyond the obvious to validate their prognostications. They have pointed to the proliferation of multipurpose tablets as cutting into the sale of e-readers, which is correct as far as it goes, but the fact is that the tablet is an all-purpose device in which book reading is a mere fraction of its uses. Distractions, for the voracious book reader, in the form of countless apps, notifications, videos, email, music, advertisements, etc. that come with tablets are infinite. One is subjected to temptations and annoyances that break concentration and intrude in the one-on-one communication system that defines reading. People for whom reading is a private passion crave total concentration to absorb the content and profit by it. Remember, library reading rooms require total silence to ensure uninterrupted concentration. The fact is that the pool of dedicated readers of literature, as a rule of thumb, is a comparatively small fraction of the general public. In commercial terms, it was once estimated at about ten percent of the so-called “entertainment” dollar, which might not take into account book lending. The dedicated e-reader is the obvious device of choice for those who treat reading as their essential pastime. For those authors, like myself, weeding out the occasional reader that opts for the multipurpose tablet is actually good news since it helps identify dedicated consumers of literature, fiction and non-fiction. Still, some serious readers do opt for the tablet. The printed book has served its various reading constituencies well. Book lovers were happy to immerse themselves in a book with no other thought in mind than what the book had to impart. Print book enthusiasts will continue to indulge in the false optimism of a return to its glory days, but as the latest reports from Barnes and Noble indicate, that business model faces severe economic hurdles. More optimistic are sales reports from independent bookstores indicating that while the marketplace for printed books does have a future, it will evolve into smaller circles of dedicated readers, smaller outlets, smaller print runs, and as a consequence, smaller author advances and available promotion dollars. In other words, the future of books will be a hands-on business with smaller, specialized bookstores. It seems logical to conclude that the first responders to the beta e-readers had chosen this medium for reasons of convenience, novelty and mobility. In the fiction area, most were genre readers, particularly in the Romance Fiction category, a genre that continues to dominate the digital reading community. But now that e-reader devices are ubiquitous and more user-friendly for dedicated fiction readers, many older and for whom the reading experience is an ingrained and a dominant part of their lives, the likelihood is that users will adapt their reading habits to the device that is closer to the print product. As a practitioner of the novelist’s craft and one who pioneered the e-reader technology since 2007, my hunch is that serious readers will prefer the exclusive e-reader to the multipurpose tablet. Younger readers who have cut their teeth on technology, however, and whose expectations of the cyber experience have been literally honed since birth will opt for the device with the most possibilities, even if they develop into dedicated readers. Traditionalists and others who have seen the recent media stories of the decline in ebook sales are misreading the facts. The ebook market share will continue to escalate, and it will soon completely dominate the textbook industry. E-readers will yield ground to the tablet, but the truly passionate reader will stick with the exclusivity of the new round of advanced exclusive e-readers. Still, despite the joyful optimism of print book lovers, there can be no denying the impact of the digital reader, whether in the form of a feature or app on a tablet, cell phone, desktop or whatever device the future will bring. Like it or not, the printed book as an economic model is in the process of unraveling. It will survive as long as the generation that grew up with the printed book remains an economic factor in its survival. 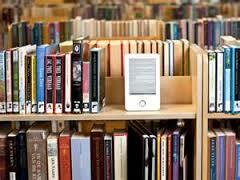 When that generation passes into history the digital bookshelf will be the dominant technology for the reading public. Unfortunately, its decline is as inevitable as the rising and setting of the sun. The Content Marketing Institute reported that 90 percent of organisations are marketing with content. And now, Forrester predicts that enterprise content volume is growing at a rate of 200 percent annually. It’s safe to say that most companies are embarking on or are deep into a content marketing initiative. Original content will directly align with your campaigns. Although curated content can be relevant and timely, original content allows you to share your brand voice and unique point of view. Original content can be powerful for opt-ins. A recent MarketingSherpa report found that 75 to 80 percent of the B2B marketers surveyed stated that generating high-quality leads is their biggest concern, which is how they are using their content initiative. Creating original content – whitepapers, reports, webcasts, etc. – and hiding it behind opt-in forms can absolutely generate those leads. Licensed content frees up your team. Creating that high value content takes a lot of work! This is where licensed content comes in – allowing you to keep up your content cadence while focusing your energy and bandwidth on bigger projects. With both licensed and original content, the content belongs to you! All the original content that is created for or by your company is yours, but by using licensed content instead of curated links, you can use and distribute that content freely as well. 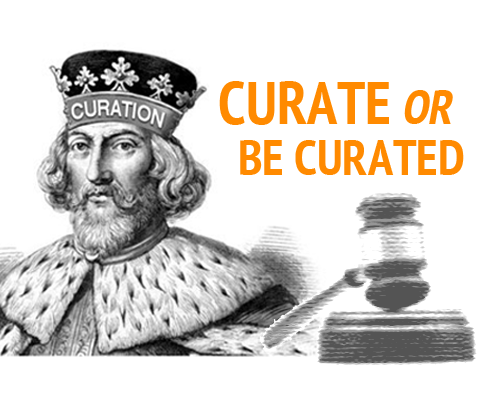 So let’s take a step back and first, understand the difference between content creation and content curation. Content creation is pretty straightforward – it’s the original content that an organisation creates and organizes into a slew of different formats – from eBooks to infographics and everything in between. According to the Custom Content Council, two-thirds of consumers say that the information provided through custom media helps them make better purchase decisions and more than half say they are more willing to buy a product from a company that provides custom media. Content curation comes in two forms: simply curating links to third party content, or licensing curated content to host on your media property. Curation involves finding, organizing, annotating, and sharing high quality digital content that must be relevant to the organisation’s audience and come from credible sites. NewsCred encourages brands to license their curated content, as simply curating links drives traffic away from your site, while licensing content allows you to curate and distribute content from highly respected publishers while keeping your audience on your digital properties. Since most companies don’t have the infrastructure to be 24 hour newsrooms, curating licensed content can be an easy way to scale, save time and resources, and align your brand with credible third-party publishers. Also, by promoting content from respected, outside licensed sources your brand can get involved in bigger conversations and shy away from being to self-promotional (and as any marketer will tell you, being overly promotional will definitely not get you anywhere today). It also allows you to share breaking news in your industry in a legal, easy way that doesn’t sap your team’s manpower. So back to the question: Does it make the most sense to make or moderate your content? A foundation in content creation is vital to the success of your content initiative. But without a round the clock content team in place, this becomes an unattainable goal. So, consider creating content as your foundation and making it a priority. Then, once you know the volume of content needed to maintain your content initiative and reach your goals, fill in the gaps with licensed content. This percentage could vary from the average of 65/35, but that’s okay – it’s your company’s individual strategy. For guaranteed success, measure your results, note your achievements, and adjust your content mix accordingly. Content marketing is not a cake walk but with the one-two punch of original and licensed content – your strategy can really take flight. © NewsCred Blog, see original article, follow this link.